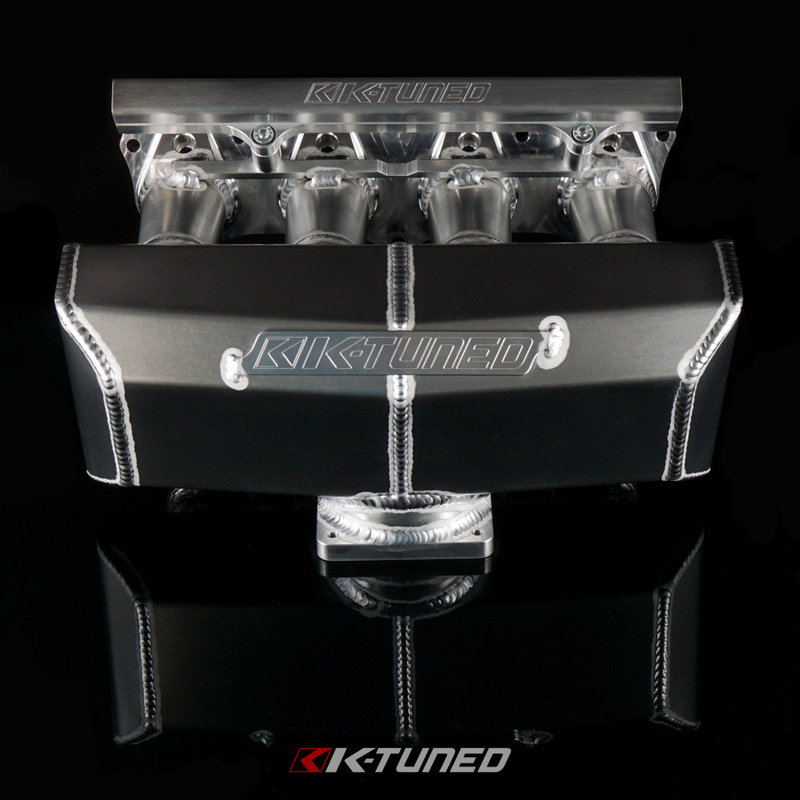 For our K-Tuned Intake Manifold project we partnered up with a long time friend and owner of Magnus Motorsports to design a performance intake manifold to properly fit multiple K-powered cars. 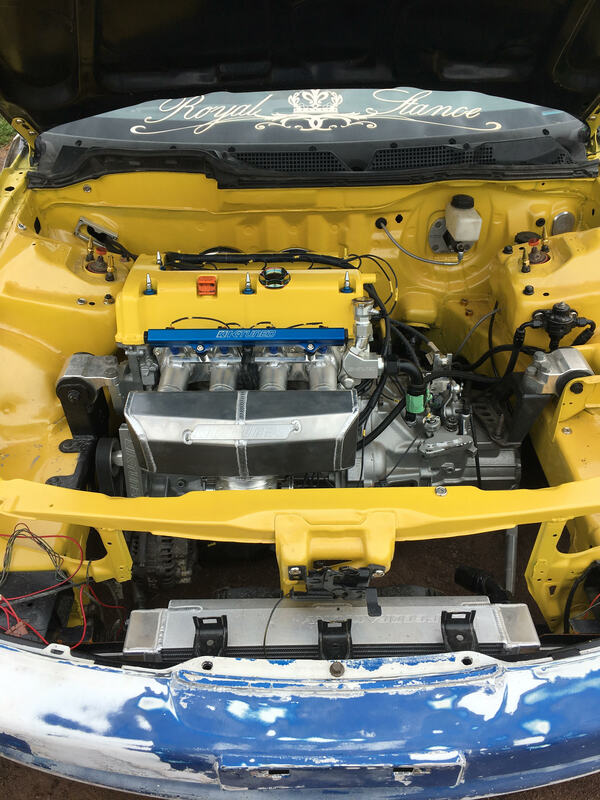 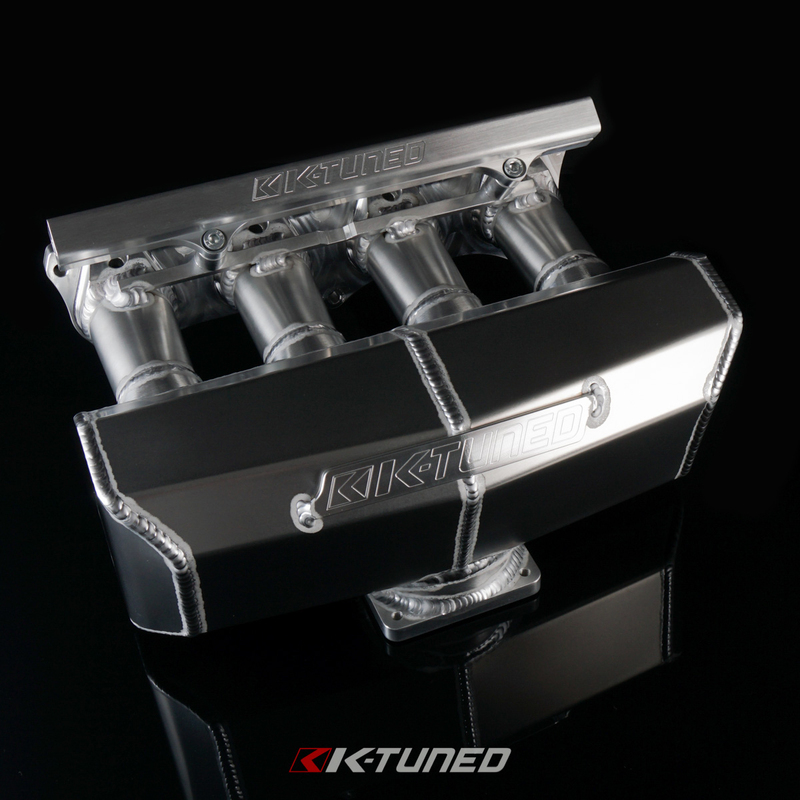 We worked with Magnus previously when they helped us out with the custom intake manifold on our awesome K20 powered Mazda RX-7. 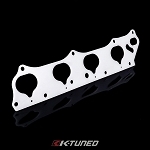 Magnus is well known in the aftermarket industry for their high quality intake manifolds and they have been designing and welding up their own product for several years now. 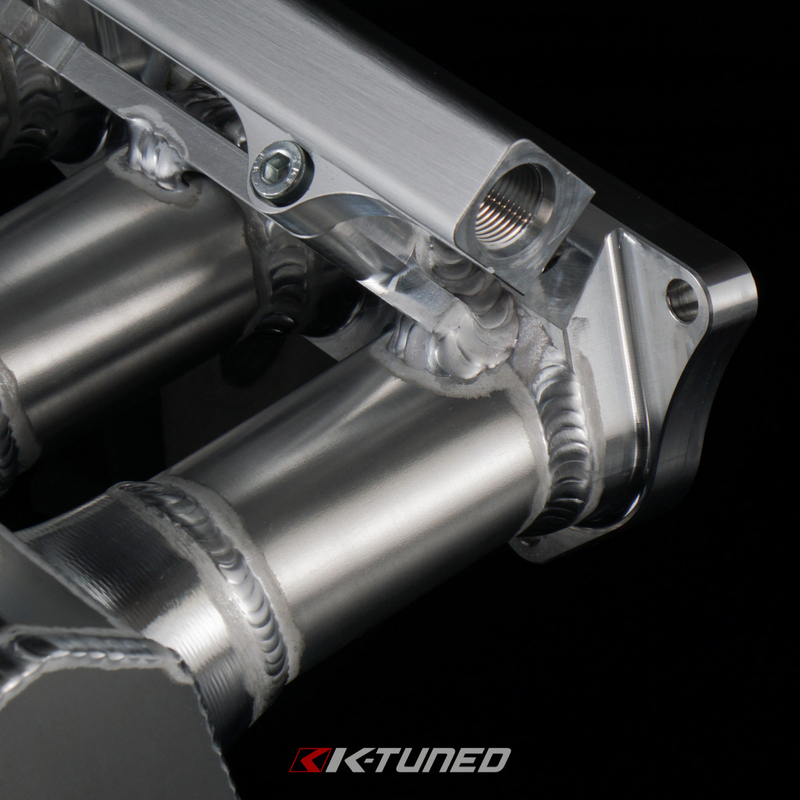 We knew the Magnus design worked, but wanted to collaborate and find an overall manifold layout that addressed the fitment concerns on several different Honda chassis. 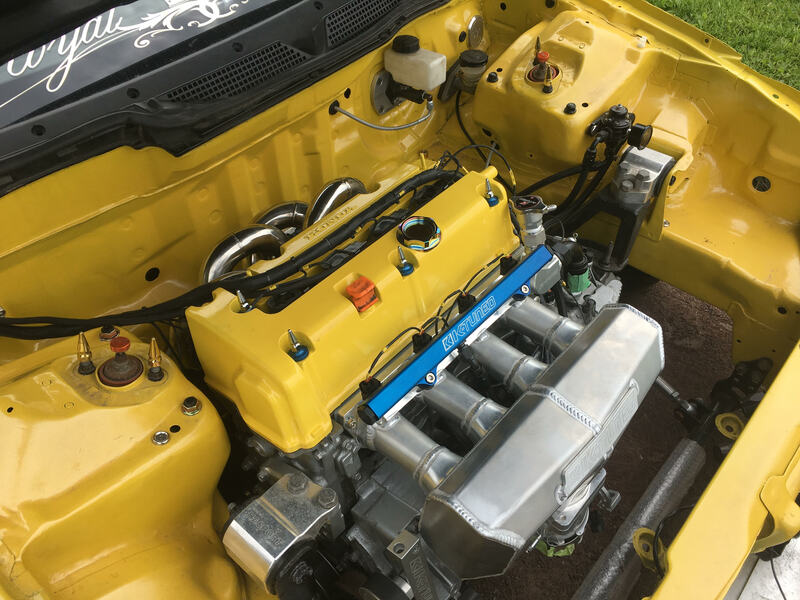 Clearance to the rad support and the hood were areas that needed attention, so we lowered the plenum and shortened the runners a little bit, while still keeping a clean entry angle into the head port. 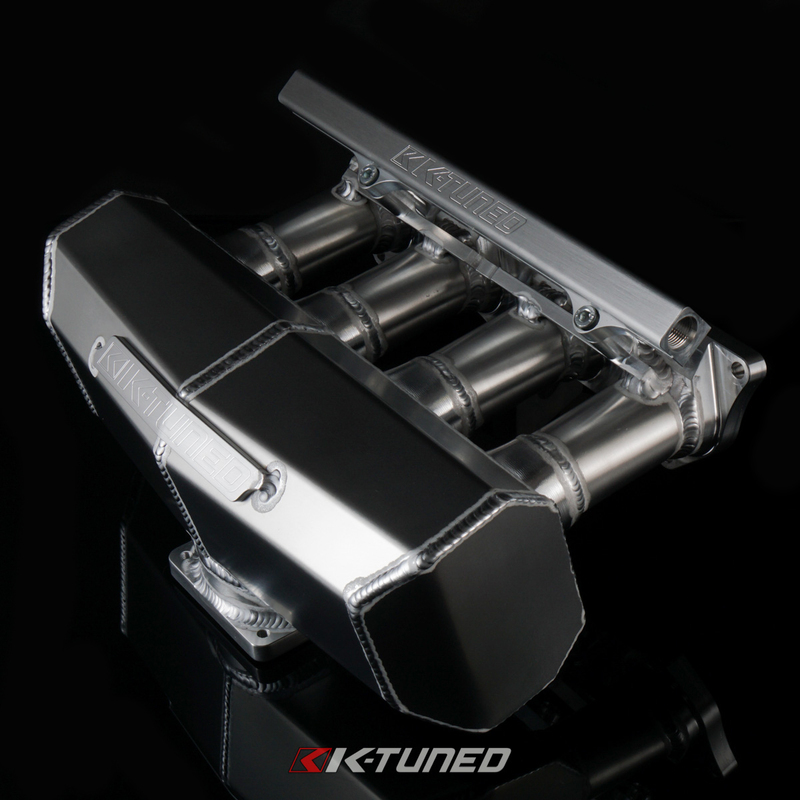 The result was exactly what we were looking for, a big plenum, short runner, performance intake manifold that fits numerous vehicles. 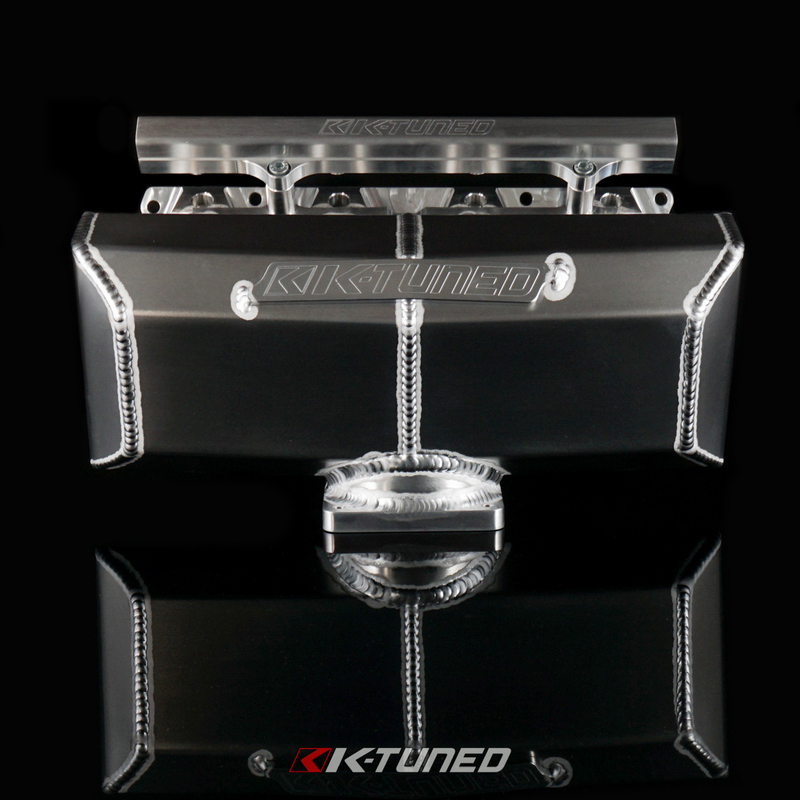 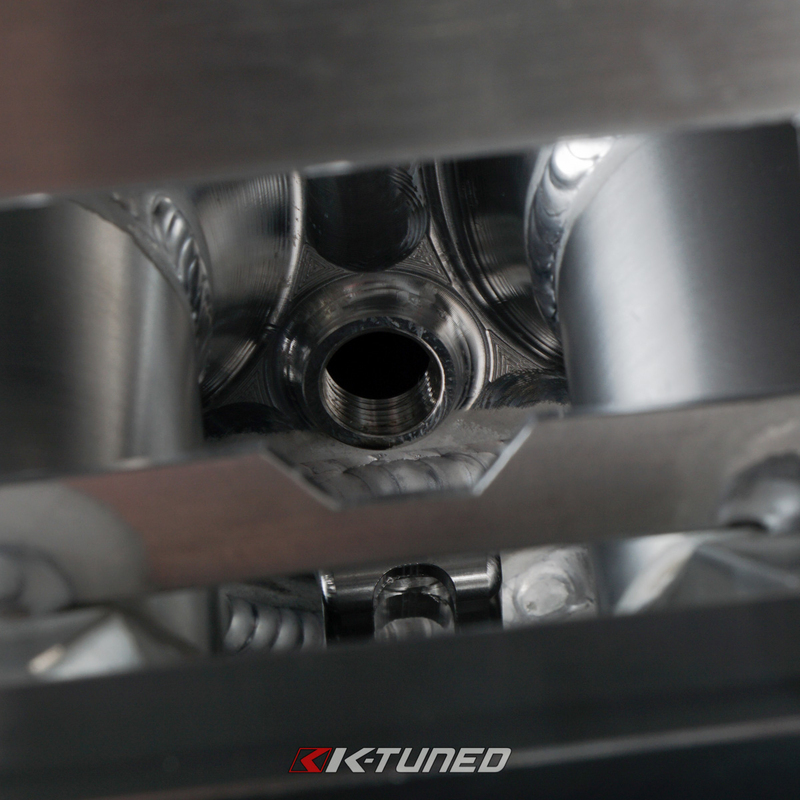 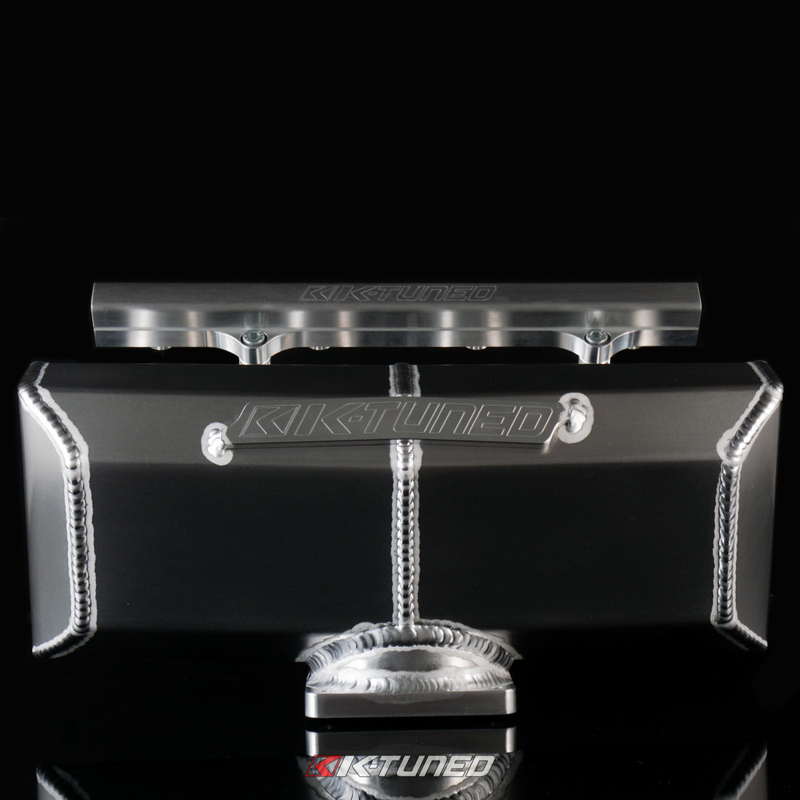 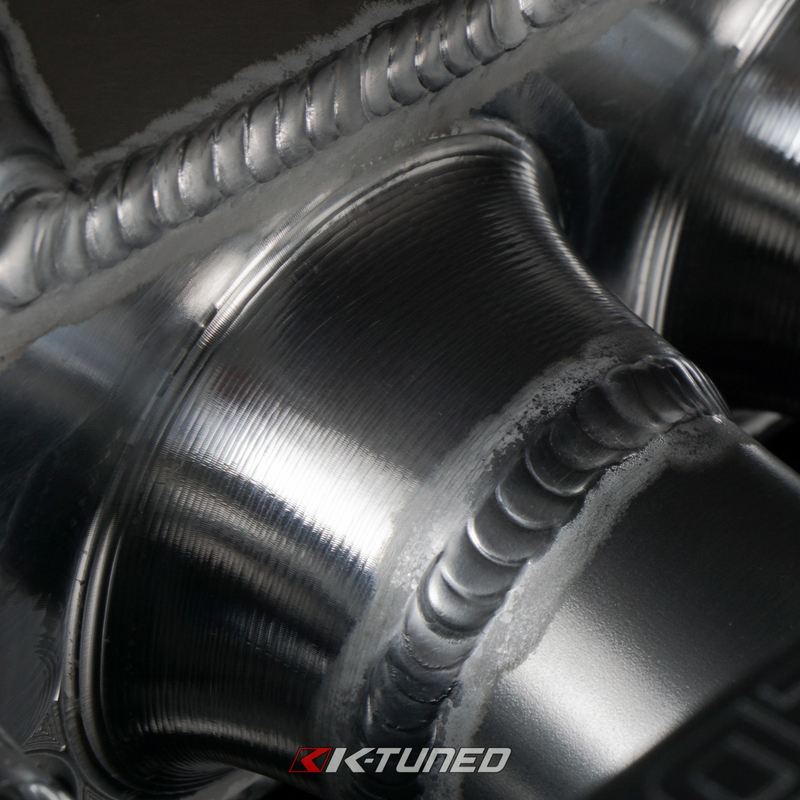 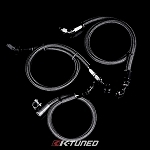 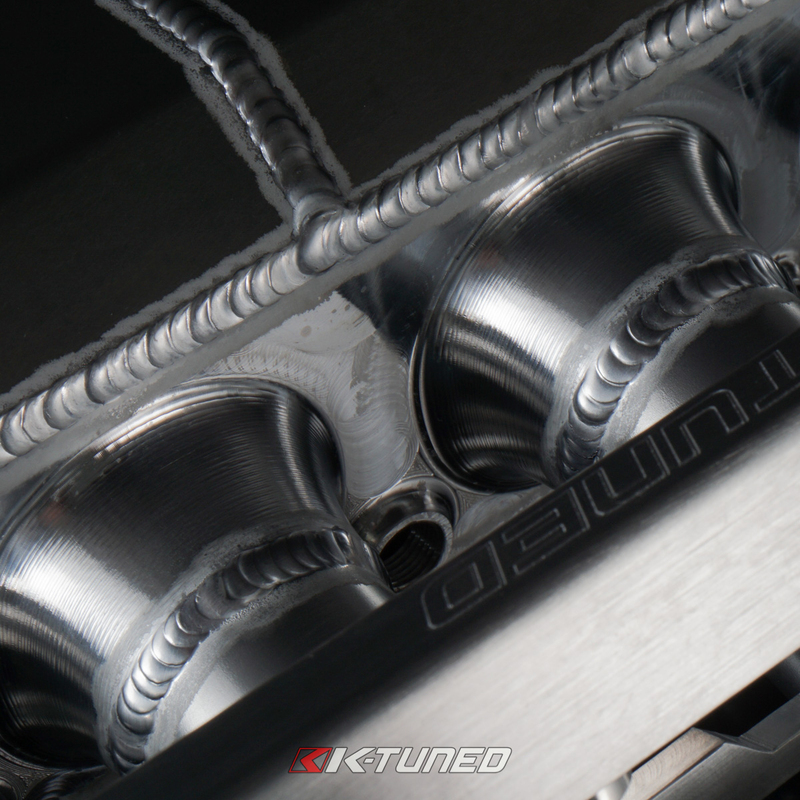 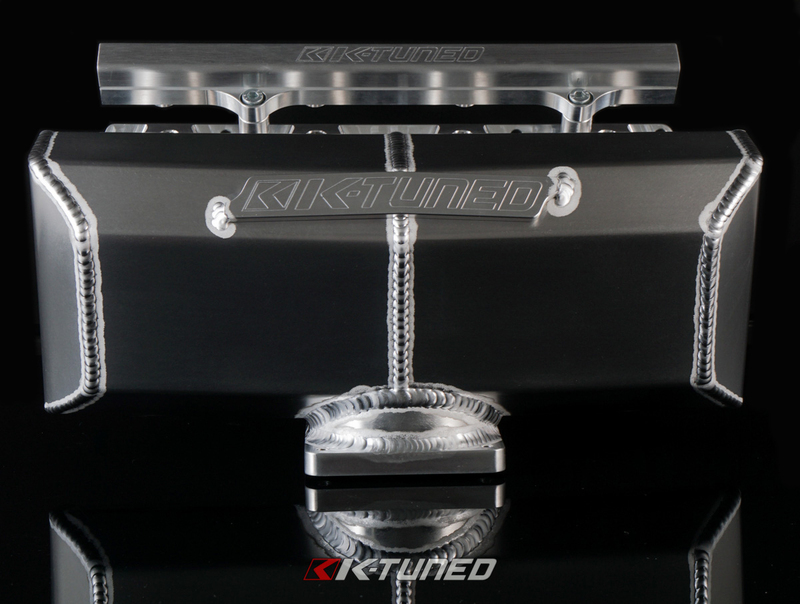 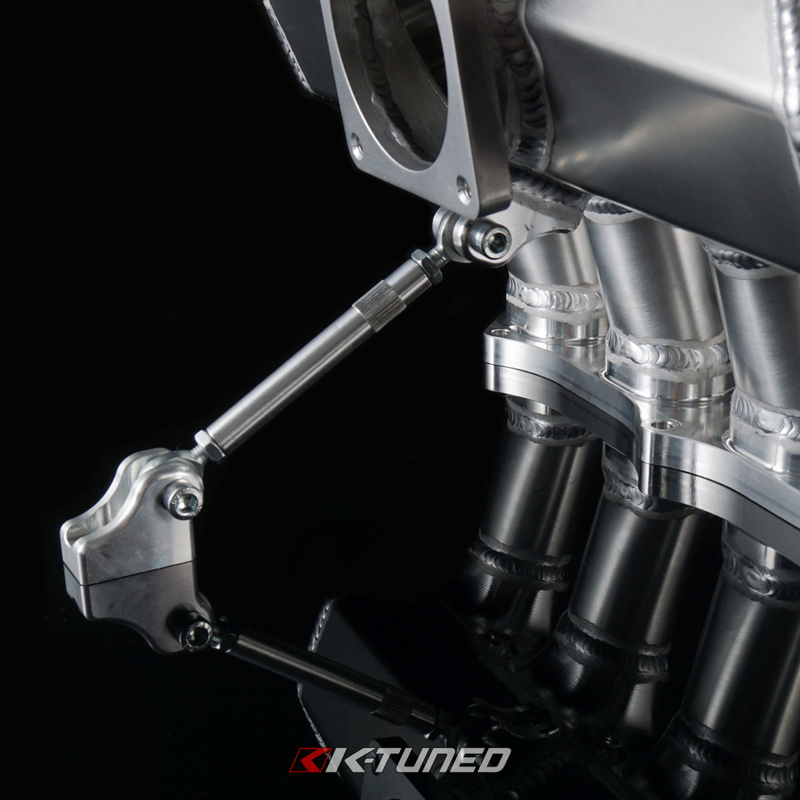 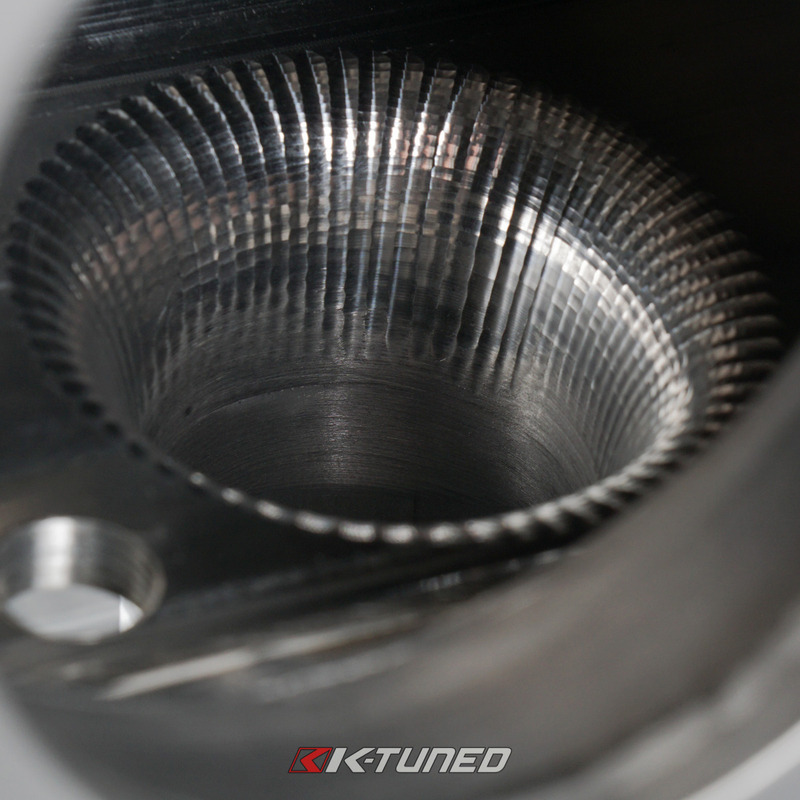 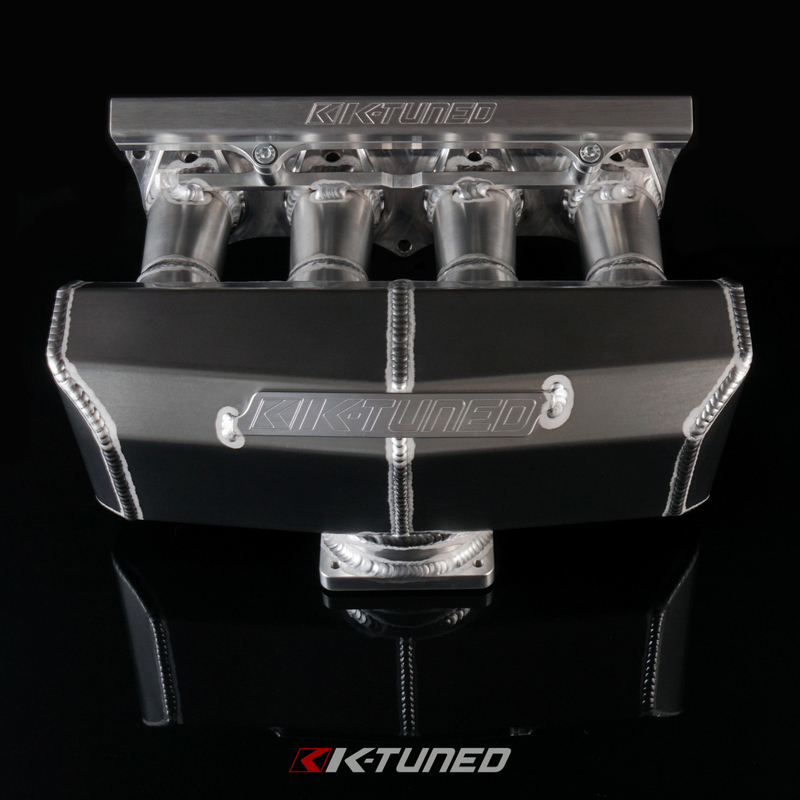 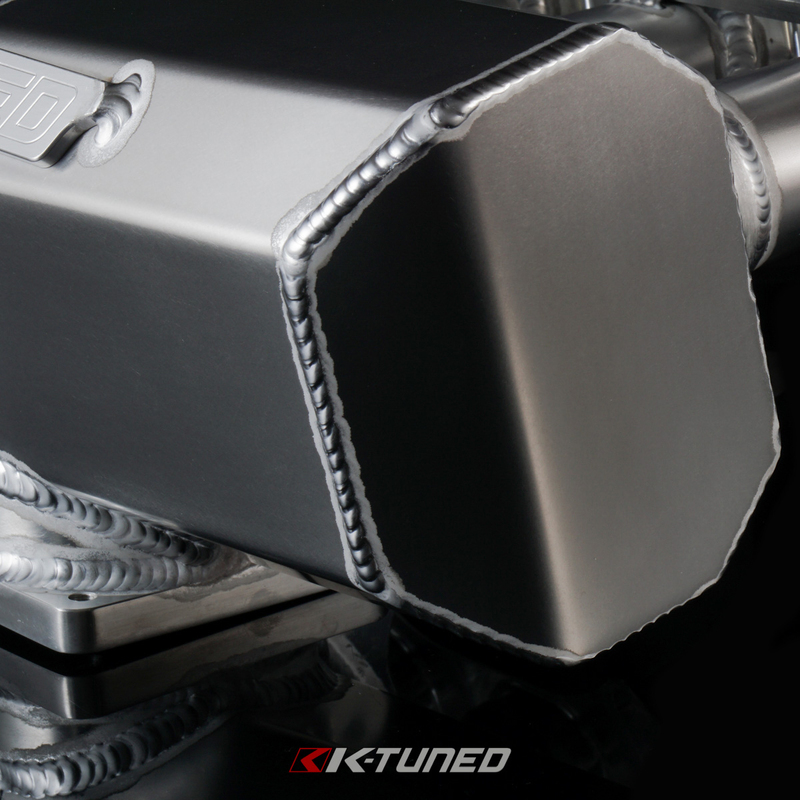 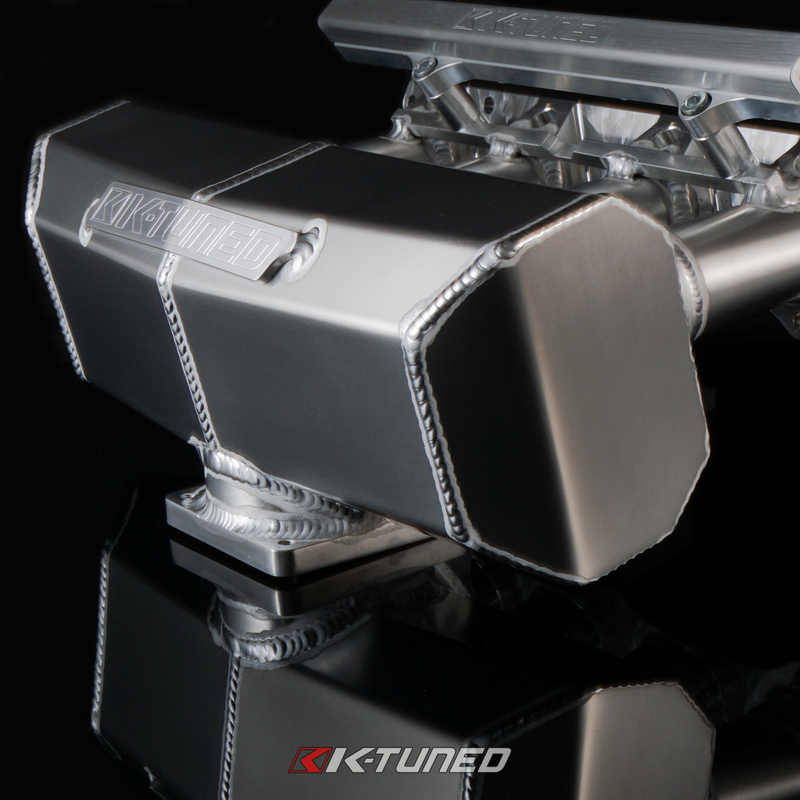 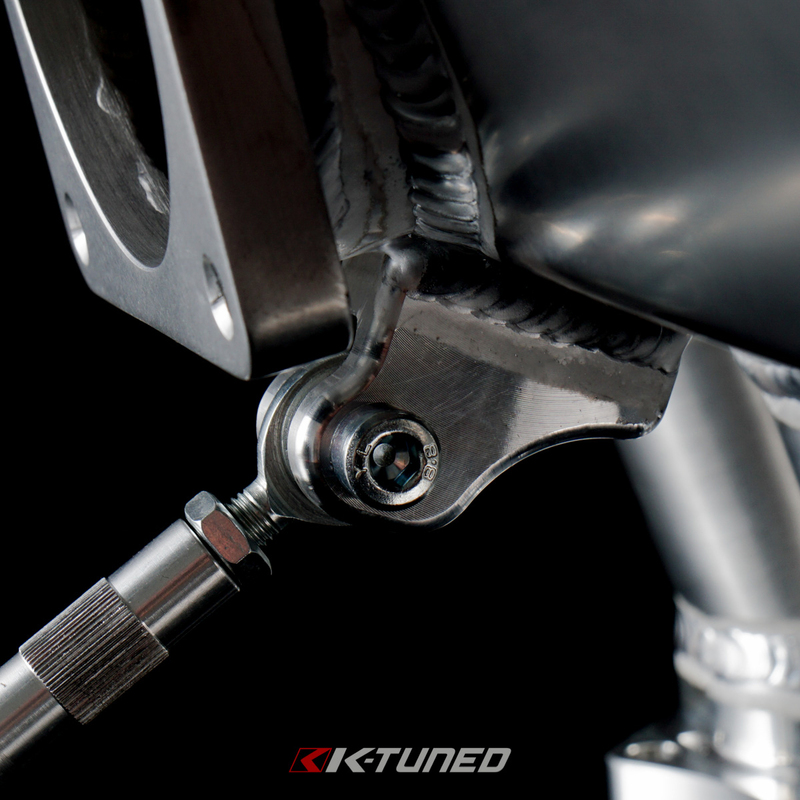 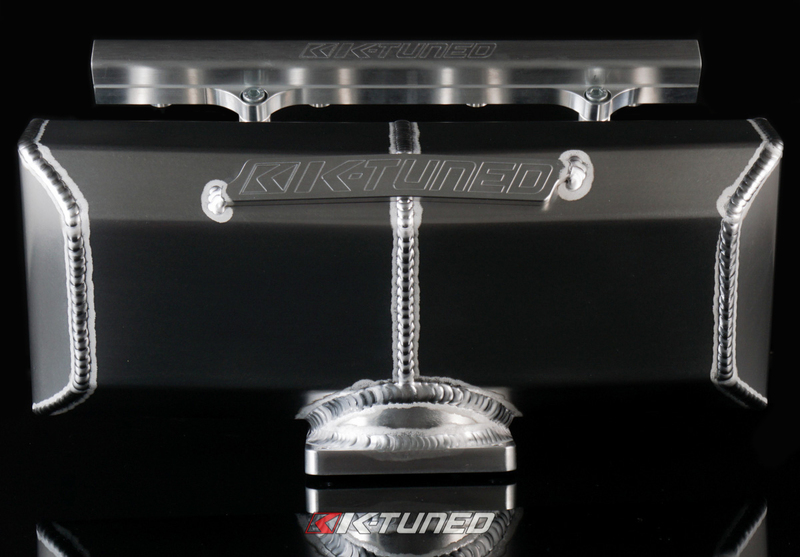 This specific intake manifold design is being offered exclusively by K-Tuned and makes significant top end power gains over the factory intake manifold on both naturally aspirated and forced induction applications. 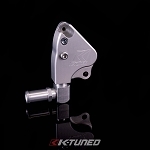 Note that the stock water passage needs to be modified and a K-Tuned AC/PS Eliminator Pulley setup must be used. 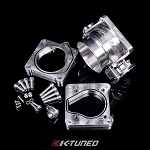 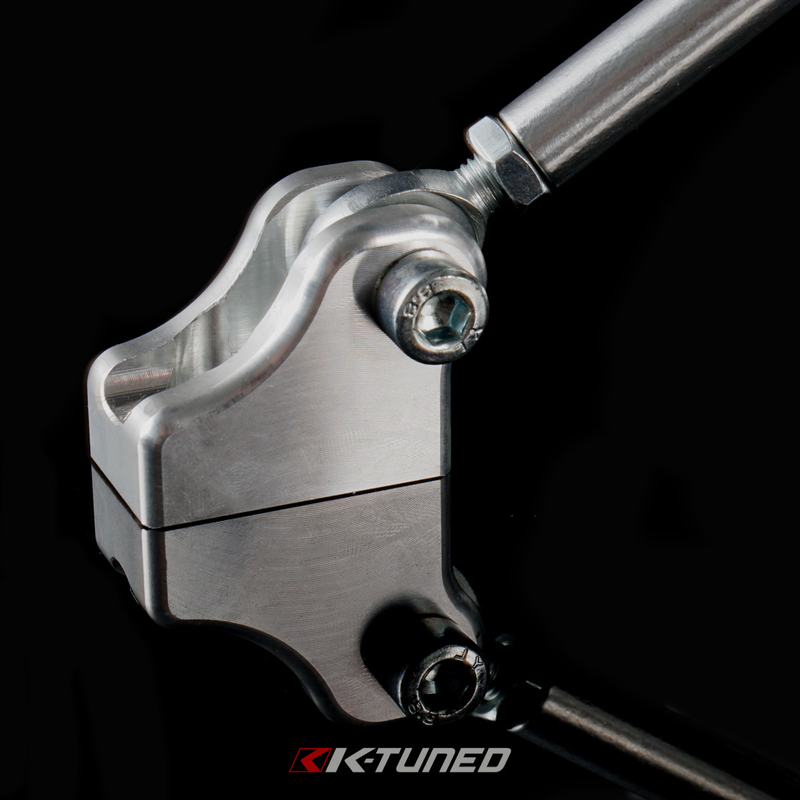 K24 heads will need to use our K24 Intake Manifold Adapter.